If there is a product I reach out for the most, it is Lakme 9 to 5 Weightless Lip and Cheek Color range. I got 4 of them and they are by far the most comfortale matte formula I have tried till date. My Review: The packaging comes in a rose gold tube top. There is no colour coding which is a pain for me because I own several of these and reach out for these every day. Lakme 9 to 5 Weightless Lip and Cheek Color in Plum Feather is a pink toned red. It is the type of shade which will flatter all skin tones. It is very apt for functions or weddings. This shade of pink suits wheatish to dark tones more than the typical pink lipstick. I love this shade. The pigmentation is good and covers my pigmented lips completely. I do not have to use a lip liner or swipe it 2-3 times for opaque coverage. This does get a bit dry after few hours, so applying a lip balm will solve that issue. Also, the texture is not that smooth as Rose Touch but smoother than Burgundy Lush or Fuchsia Suede. It is more thick mousse-like.You do need to exfoliate your lips and apply a balm underneath for smooth application. It last on the lips for 4-5 hours and after that it does dry out lips a bit. When it dries, it settles in the fine lines. 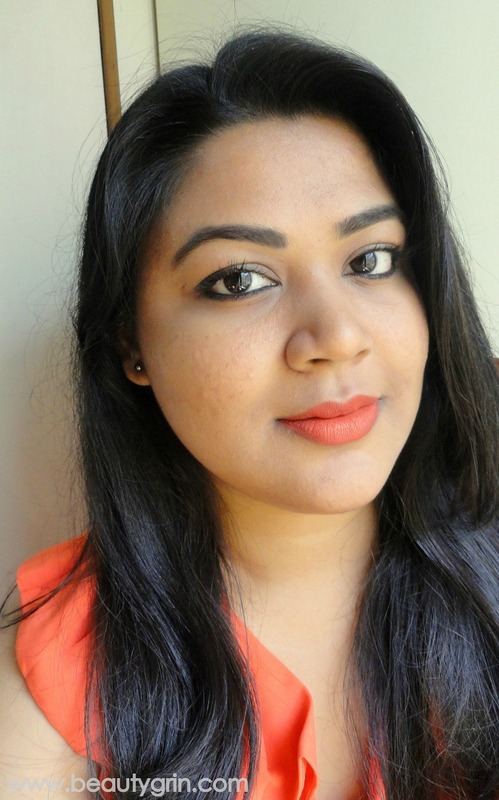 Overall, this Lakme 9 to 5 Weightless Lip and Cheek Color in Plum Feather is a good shade of pink which will flatter all skin tones especially wheatish and dusky skin tones.